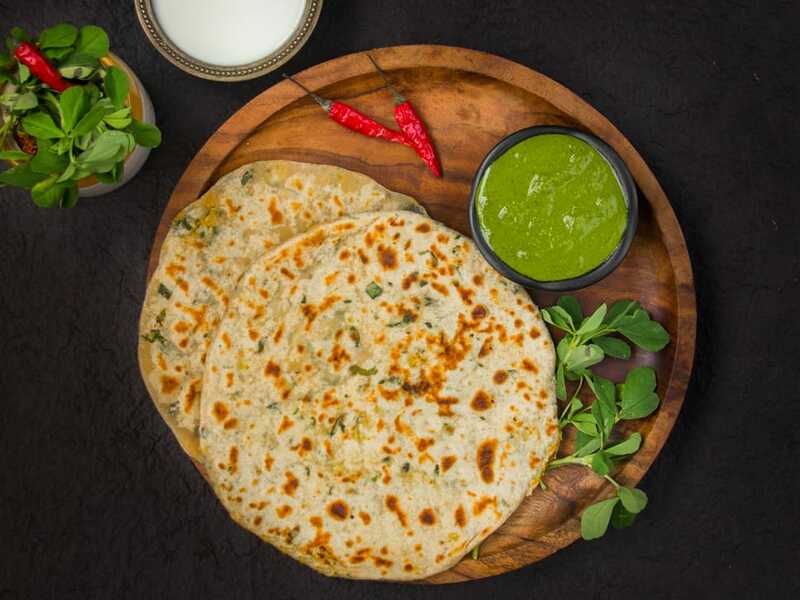 Start your day right with our wholesome and flavourful methi paranthas stuffed with cauliflower. Enjoy this hearty breakfast with fresh mint chutney and curd. - Paranthas made with 100% whole wheat - Iron-rich methi - Fibre-packed gobi - Low fat yogurt Allergen Information: Contains gluten and dairy.